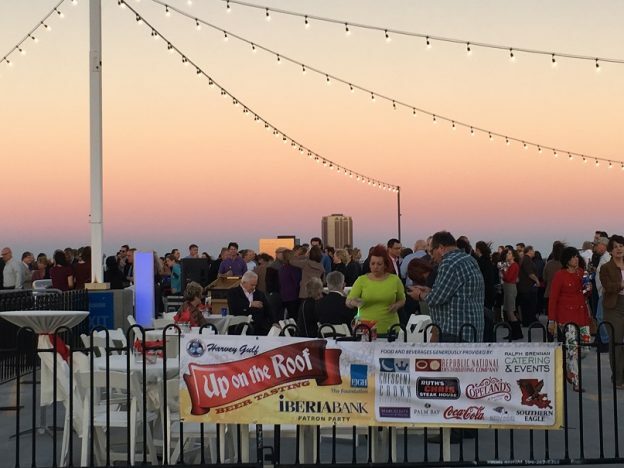 The Foundation at East Jefferson General Hospital’s 10th Annual “Up on the Roof” Beer Tasting was a huge success raising $160,000 for the hospital. With over 1,500 guests, Events Specialists of New Orleans was proud to help out in throwing an awesome party on top of the EJGH parking garage for a good cause. Event Specialists handled all logistics and made sure guests were treated to a wide array of food and drink. With over 50 select beers and 26 restaurants providing delicious food samplings, the choices were endless. On top of that, great music provided by “Karma”, and a gorgeous view of the lake made for a splendid evening. The wind was rather brisk, but that didn’t stop guests from having a great time and enjoying the splendid fireworks show for the event’s 10th anniversary.